Poor old Jinx appears to have a limited supply of gadgetry. The NSA must have budget cuts. We don’t even get to see what she uses to cut through a pane of glass, although you do have to wonder who would think of taking a couple of sucker handles all the way to Iceland from America on the off-chance. She does have a pretty good rappelling device that enables her to break into the Icelandic dome, although we had already seen something similar in the previous two Bond movies. 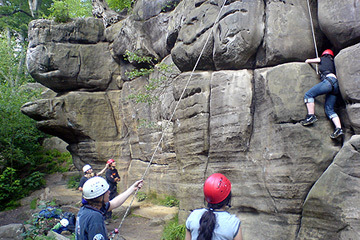 There are usually three types of climbing experiences available with Activity Day companies. 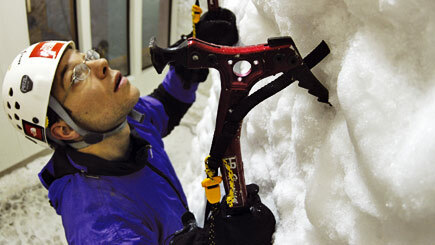 There is Indoor Ice Climbing which features a large ice wall and a chilly but exciting day. The rock climbing experiences invariably include introduction courses, and some offer Scottish mountain experiences. There are also combined climbing courses that include an introduction to mountaineering and abseiling - after all, you also need to get down. There are many more on offer, it is well worth checking out the websites by opening the ads below as new windows to compare up to date prices.